Since 1873, the Franco-British Chamber of Commerce & Industry, with around 700 members, has been the principal voice and representative body for the Franco-British business community in France. The chamber provides a wide range of services to assist both French and British companies to develop their business through: networking, business information, business promotion and sponsorship, business publications and business training. 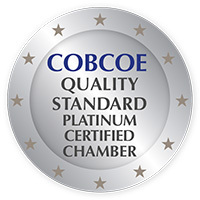 FBCCI is a COBCOE Quality Standard (Platinum Level) certified chamber. See the Featured Member pdf document.